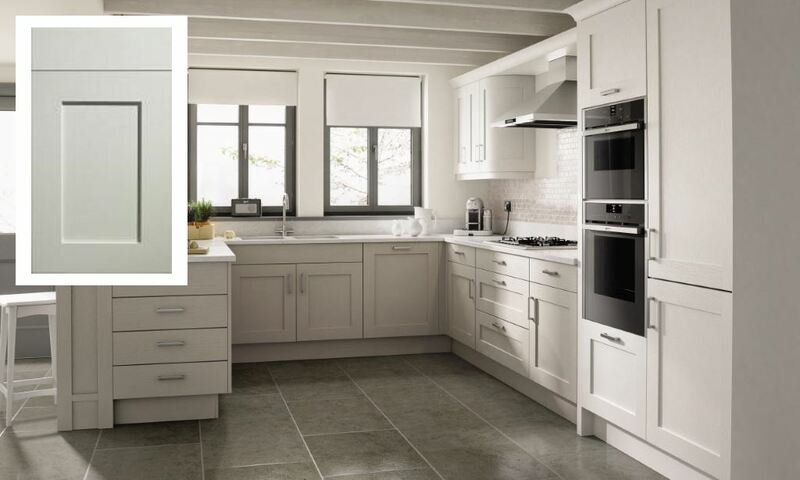 The ash grain of this Shaker kitchen door is brought to life by a subtle painted finish to offer a truly modern classic look. 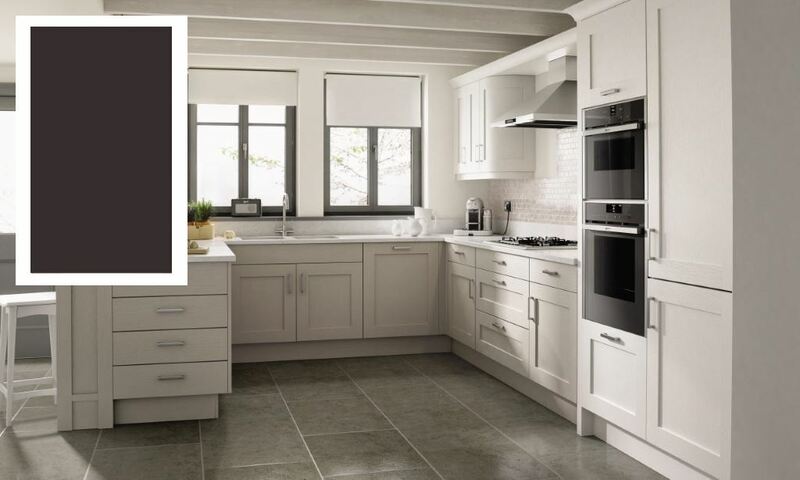 A number of stock and paint to order colours are available to select for the Mornington shaker range. Below are the five stock colours avaiable. A further 24 paint to order colours are available from our paint to order page. You can view these paint to order colours here. The Mornington is also available with a sanded finish. The dove grey is now available from stock. Graphite is now available as a stock colour with a short lead time. The partridge grey displays the detailed styling the this traditional shaker kitchen door. 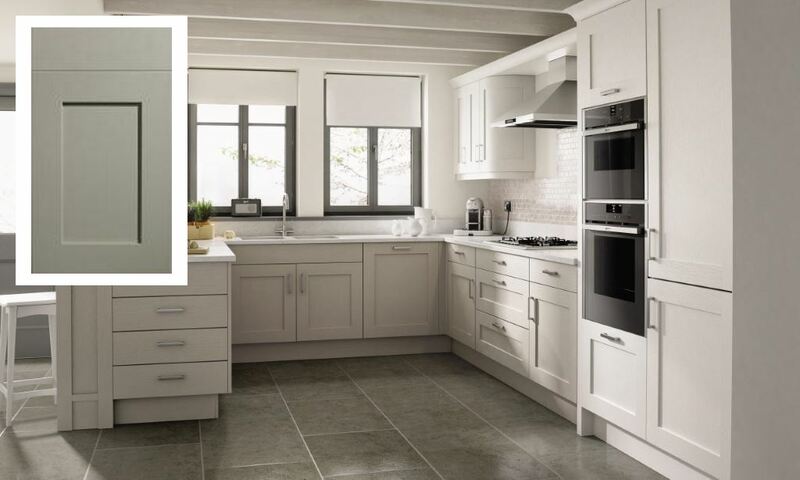 The light hue to the the porcelain door gives a modern twist on this classic styled Mornington shaker door. Select the stone for a great looking colour to display the shaker design. Mix and match with other colours throughout the kitchen to create stunning contrasts.